Scarf & Goggles to return to Silverstone! 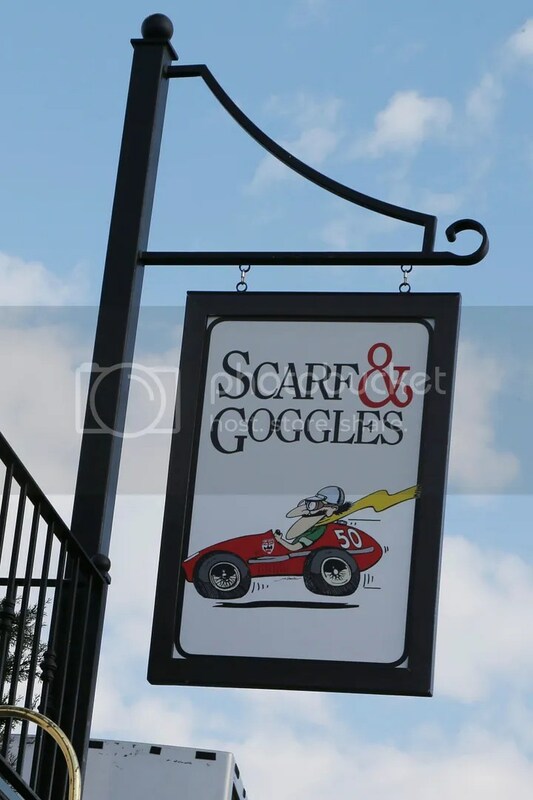 Some rather fantastic news follows from Silverstone – the original Scarf & Goggles is to be revived as a place of conviviality, refreshment and general period automotive-and-aviation-themed excess at the Classic, when it marks the Silver Jubilee of the mothership for high-end classic and vintage events. Even the old ‘pub sign’ that has sat in the shed for a couple of decades will be hanging from on high once again. The special Silver Jubilee celebrations at next month’s Silverstone Classic (24-26 July) will see the introduction of two new awards honouring the two driving forces behind the circuit’s first-ever historic motor sport festival 25 years ago: Mervyn Garton and Stuart Graham. Paying tribute to the pair’s pioneering achievements in creating the blueprint for what’s now The World’s Biggest Classic Motor Racing Festival, the Stuart Graham ‘Scarf and Goggles’ Award will be presented to what’s judged to be the most admirable car competing at the Classic while the Mervyn Garton ‘Scarf and Goggles’ Award will acclaim the best off-track visitor attraction. Both will be perpetual accolades awarded annually as from next month’s event. “It’s the original ground-breaking vision of Stuart and Mervyn which remains right at the heart of everything we do at Silverstone Classic today – that’s why we are so delighted to be acknowledging both their foresight and achievements with these two very special Scarf and Goggles awards,” said Nick Wigley, Event Director. Back in 1990 when Garton and Graham first put their heads together, there were very few major events dedicated entirely to historic racing cars. The Oldtimer Grand Prix at the Nürburgring, the L’Age d’Or meeting at Montlhéry and the Monterey Historics at Laguna Seca were already established, but in England, the world centre of historic racecar preparation and ownership, there was nothing to compare. As well being a TT winner on both two and four wheels, Graham was a director of the BRDC, the organisation that runs Silverstone. He was keen to see the circuit expand its portfolio of events in order to broaden the base that supported the British Grand Prix, upon which the venue was heavily reliant. 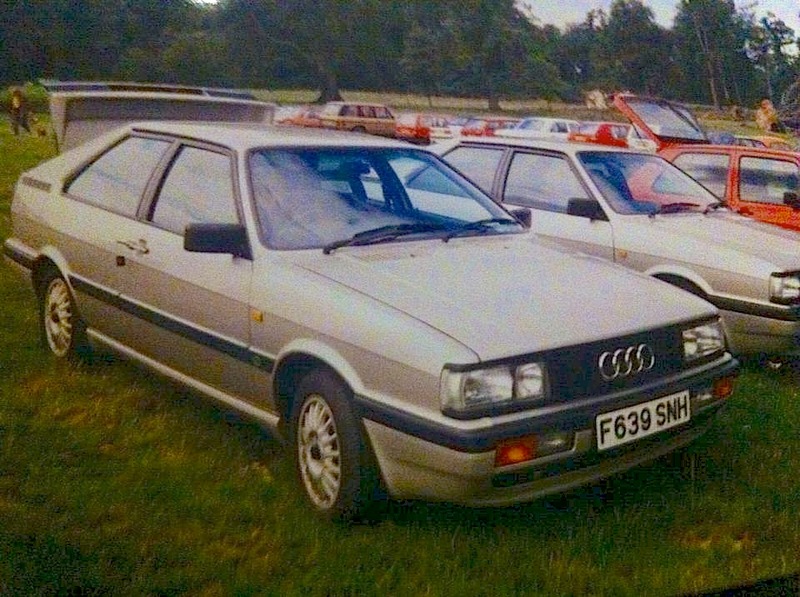 Graham realised that there was wide support at home for his idea of a Silverstone Historic Festival and it was agreed that the first two-day meeting would be held a fortnight after the 1990 British Grand Prix. This would have the added advantage of being able to use much of the infrastructure already in place for the F1 meeting. 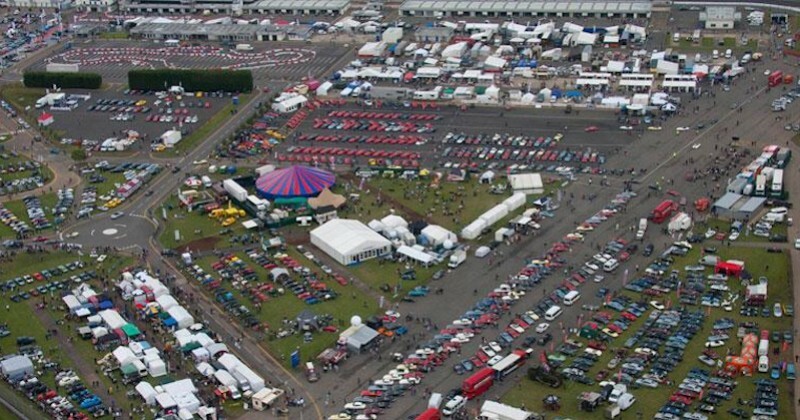 The tented city – racers, collectors, automobila-ists and, of course, the steam-powered fairground! The modest opening 12-race timetable and seemingly notable 426 racing entries laid the foundations to what’s now not just the biggest historic race meeting on Earth but also the world’s biggest annual motor racing event of any genre. Last year’s record breaker featured an unrivalled 1,125 entries – a figure that could be topped again in July. Over the last 25 years, of course, the scope of the thriving historic scene has widened considerably and now includes many classes which were front-running categories in contemporary racing at the time of the first Historic Festival. 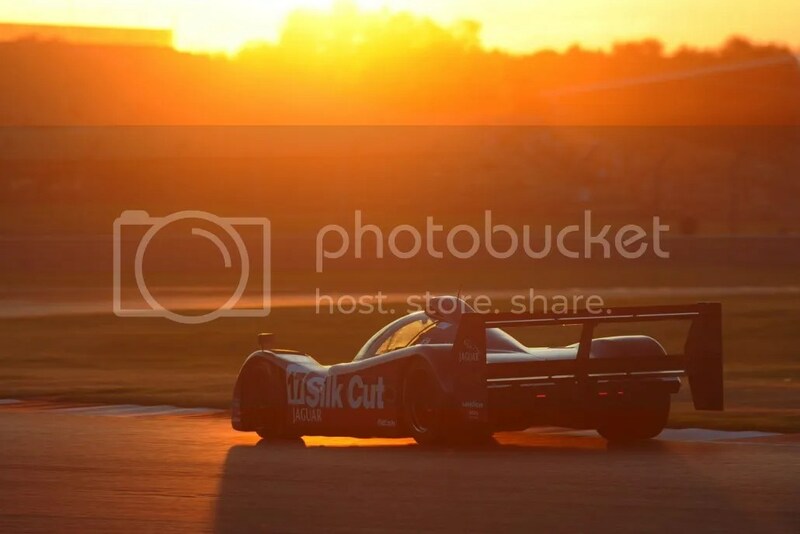 These include categories such as Group C sports cars, 90s GT Legends and Super Touring saloons, each of which have now earned their place in the Silverstone Classic line-up. “This award is a very kind and thoughtful gesture,” said Graham. “It is amazing how quickly 25 years seems to have passed, since we first got the idea of a major classic festival at Silverstone off the ground. I was very fortunate to have a small but equally enthusiastic team to provide valuable help in many areas thus ensuring a successful first event. 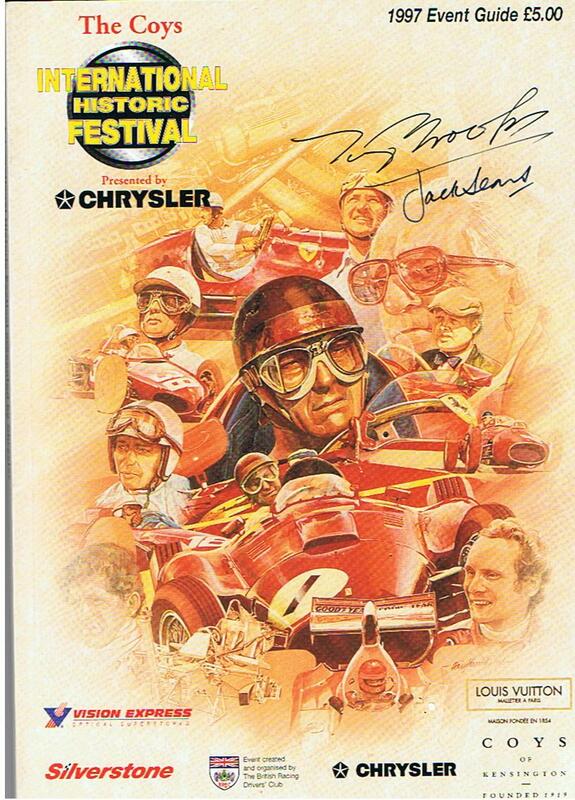 From the outset, it was also planned that the Festival would be more than simply a series of races. 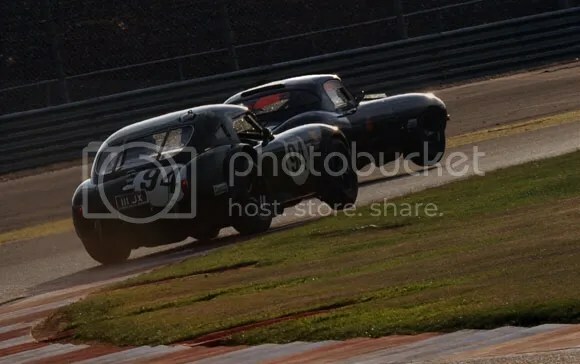 Considerable thought was given to activities and attractions away from the track in the hope that the event would appeal to motoring enthusiasts and families beyond those who would be satisfied by the race programme alone. To that end, the late Mervyn Garton was appointed to mastermind the off-track activities. The revolutionary formula he created has been adopted at most other large-scale motoring events since and continues to thrive at the Classic. 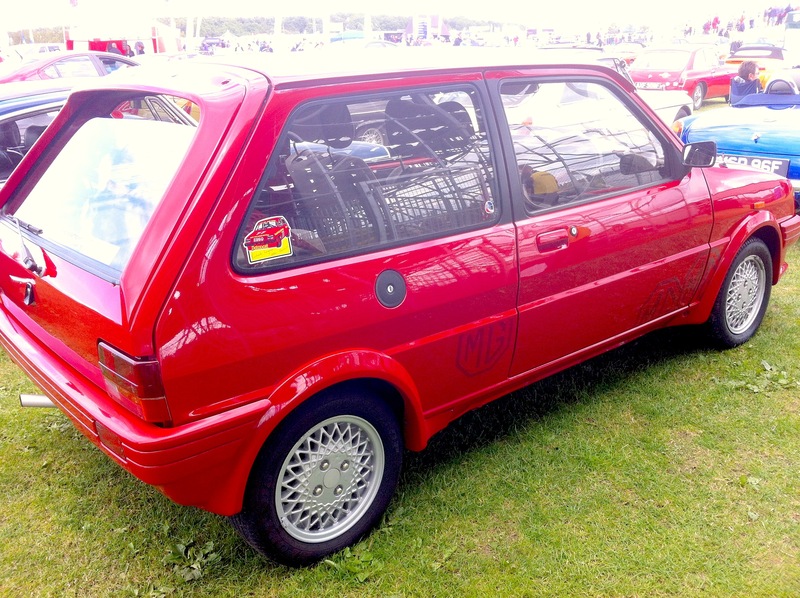 Right from the beginning it was anticipated that car clubs would be keen to attend if they were allocated dedicated spaces in which their members could meet and display their cars, and so it proved. Mervyn’s fertile mind also introduced air displays, live jazz music plus the creation of trade and automobilia malls. 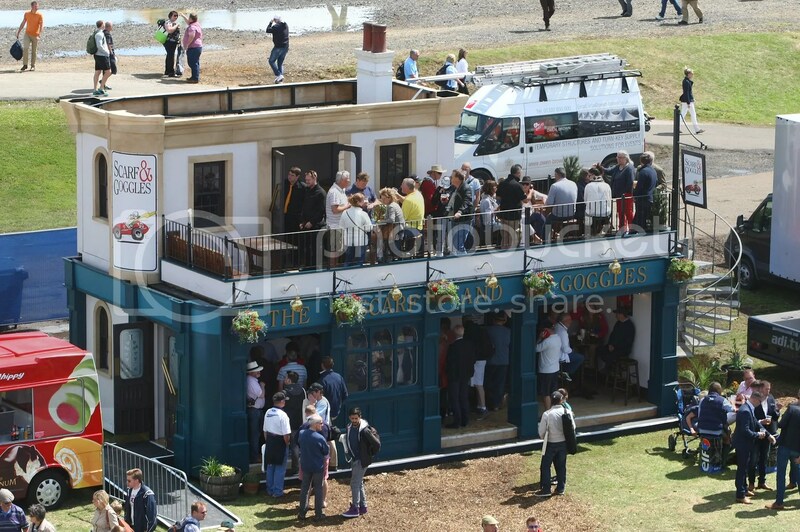 By the time of the third Festival, another of his innovations appeared in the shape of the ‘Scarf and Goggles’ bar, which became a very popular social hub close to the paddock, and somewhere where racegoers could enjoy a convivial atmosphere and meeting place during and after the racing. From an estimated attendance of 20,000 in 1990, the 2014 event played host to 94,000 spectators with the milestone 100,000 landmark set to be surpassed for the first time this summer. The car club feature conceived by Garton has spiralled in popularity, too. At the inaugural meeting 21 groups were represented, a figure that has grown to an unprecedented 120 in 2015. 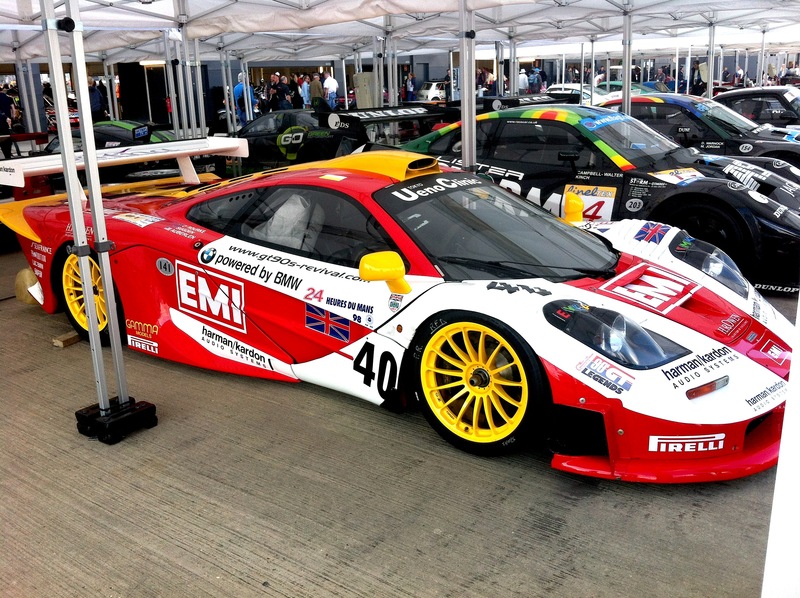 Tickets for the 25th anniversary Silverstone Classic must be purchased in advance. Adult admission starts from £40 and, as well as pits access, ticket prices include booking fees, parking, infield, grandstands, live music – this year topped by rock legends Status Quo – and the vast majority of the numerous attractions. Full details – together with hospitality packages and weekend festival camping – can be found on the official website: http://www.SilverstoneClassic.com. 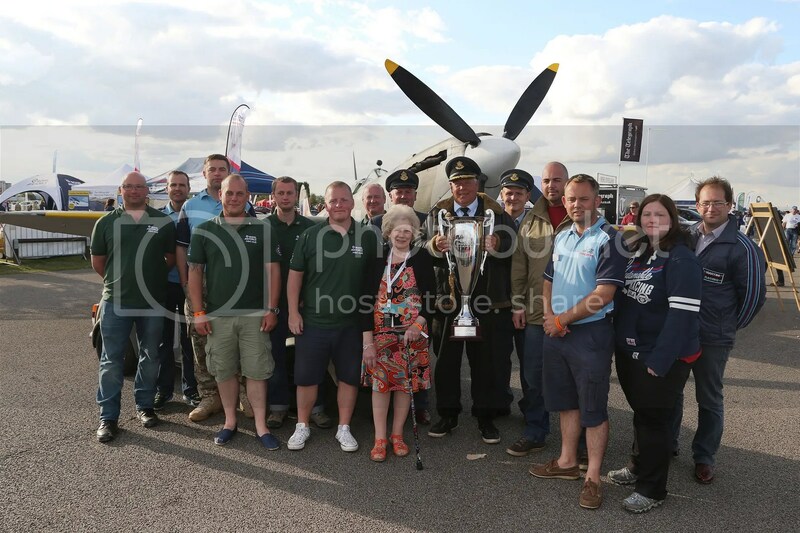 Editor’s notes: The Silverstone Classic – celebrating its 25th anniversary in 2015 – is firmly established as the World’s Biggest Classic Motor Racing Festival with a record 1125 race entries in 2014 watched by a record crowd of 94,000. The spectacular event – winner of the prestigious ‘Motorsport Event of the Year Award’ as judged by the International Historic Motoring Awards in 2013 – is staged at the famous Silverstone circuit in Northamptonshire, birthplace of the FIA Formula One World Championship and home of the Formula 1 British Grand Prix. The three-day festival features the very best of historic racing covering more than eight decades of motor sport as well as live music from classic rock bands (topped by Status Quo in 2015) and a wealth of family entertainment. This includes a free fun fair, retail outlets, a host of interactive activities, a two-day classic car auction and air displays, plus huge showcases of classic cars often celebrating important milestones in automotive history. 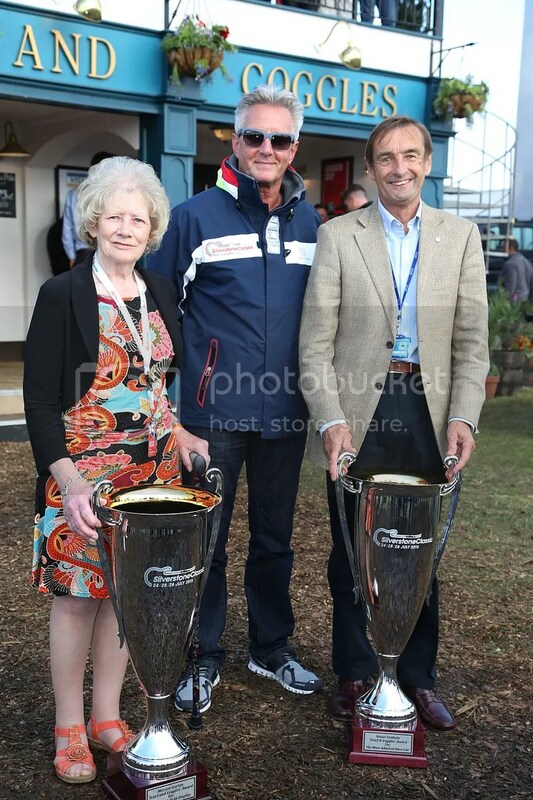 In 2014 a record parade of 84 Grand Prix cars celebrated Silverstone’s 50th Grand Prix as well as special cavalcades to mark Maserati’s centenary and 50 years of the Ford Mustang. 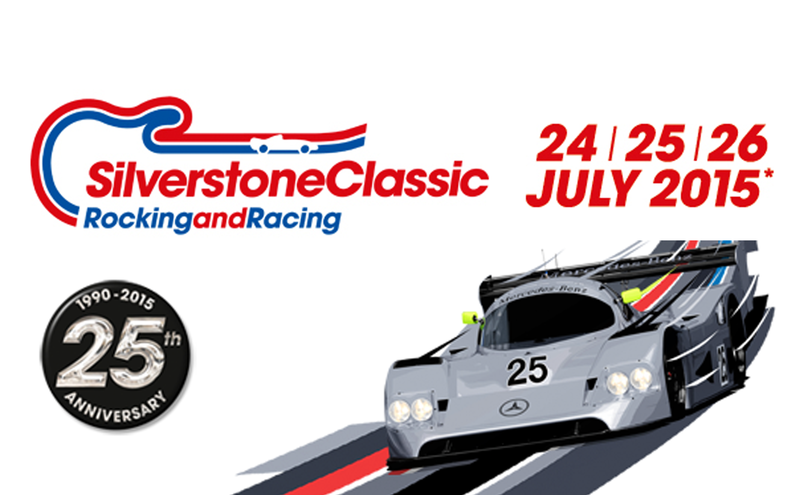 The Silverstone Classic is promoted and organised by Goose Live Events Ltd. Goose manages international events for companies such as AstraZeneca, Bacardi, Bentley, Lamborghini and Unilever.